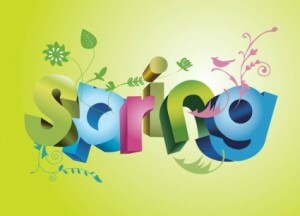 Spring – it’s the time to throw open the windows and let the fresh breezes in. Flower bulbs are sprouting, birds are returning from their winter journey, the grass is coming back to life – and we’re making “to do” lists. We make “to do” lists each spring. We’re ready to sweep the stuffy air of winter right out the door. We’re ready to be outside, not inside. But is “outside” ready for us? Think of your backyard as a guest room you bring to life in the spring and enjoy all summer. You and your family are the guests. Is it as welcoming as you’d like a room for guests to be? 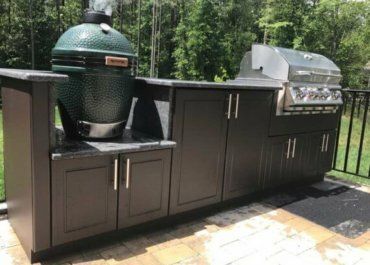 What if your “guest room” had an outdoor kitchen, perhaps even a TV? Plenty of storage with everything at hand. A table for dining and comfortable seating where you could relax with family and friends. Just like inside – only better. Add mood lighting, music and plenty of shade and you’re practically on vacation! The patio furniture is ready to come out of hibernation. Does the patio need more than a good hosing off? How about the grill – is it ready for grilling season, or does it need a major tune-up? Is that green stuff grass or weeds? Are you looking forward to using your backyard, or does it just seem like one more chore to do? Spring is coming – make a “to do” list that will turn your backyard into a spot that makes you feel like a guest all summer long.